You need to be refilled. You need time to concentrate on what the Lord has to say about how you live. You need time to worship Him, and we want your children to do the same. Our Harvest Kids ministry is for all children, ages birth through grade 5. It takes place during all weekend services. You can leave your children with us, knowing that everyone who serves in Harvest Kids, from Nursery through Grade 5, has been screened and has had a background check. We offer pagers to parents of infants and toddlers (or any parent who feels they need one). We also have a private nursing room for moms, and our toys are sanitized every week. In our nursery, we have a ratio of one adult for every 2-3 infants. AWANA is an international children’s discipleship ministry centred on the Gospel and focused on scripture memory. AWANA establishes welcoming, supportive environments where kids learn how a personal relationship with Christ affects their everyday lives. As kids in AWANA discover God’s love and their identity in Christ, they become disciple-making disciples who reach out to their friends. In Harvest Kids, we want every child to feel welcome. The first purpose of our Every Child Ministry is to provide a social environment appropriate for children with special needs that focuses on God’s word, prayer, and worship. The second, and equally important, purpose is to give all parents an opportunity to attend church and to be ministered to by the word of God. Harvest Summer Kids Camp runs for a week in July each summer. It’s a week jam-packed with fun and adventure, with Jesus as our focus each day.  Harvest Summer Kids Camp is for children entering SK-Grade 6 in September. Children choose two electives, one for the morning and one for the afternoon.